You are here: Home / Blog / Is Flipping Real Estate Illegal? Is Flipping Real Estate Illegal? Is flipping real estate illegal? This is an extremely misunderstood topic among beginners and experts alike. The legality of flipping real estate is swirling with myths and half truths and although I am not an attorney, I will lay out the facts that my experiences have taught me on the subject. (Disclaimer: I am not providing legal advice in this article and for such advice on any legal related issues, always consult a qualified attorney.). 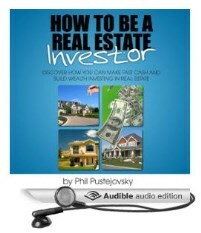 If you are (or are considering becoming) a creative real estate investor, read this article start to finish. You are probably going to hear things you have never heard before and this may go against the grain of what you may have read or heard in the past. Flipping real estate can be extremely profitable but the real estate industry is highly regulated and the participants involved can be quite litigious as well, so you need to understand what you are getting yourself into, (or what you are already actively participating in). In order to get to the bottom of this incredibly important question, let’s first define what flipping real estate is. When you “flip” a property, you get a property under contract for a low price and then resell it to a new buyer for a higher price within a short period of time. In some cases you may add improvements to the property prior to reselling to a new buyer but in other cases, you may not perform any repairs and simply assign your interest in the property to another investor. Is it illegal to buy something at a low price and then resell it for a higher price to someone else? Some would argue that “arbitrage”, or the process of buying at one price and then reselling at a higher price is Capitalism 101. Some would even goes so far as to say, not only is it legal, but it forms the basis of our economy! So surely it can’t be illegal? Legal pundits will hail the Constitutional right to the free alienation of property as the basis for why flipping real estate is legal. Whether you own the property or simply have a contract to purchase the property, in either case, you have an equitable interest in that real estate and therefore, you have supposedly have the constitutional right to resell that interest for a profit. But does this apply in all situations involving real estate? Washington State Law SBH 1843 / RCW 18.27 states that if a person or entity purchases a property and intends to rehab it and sell it for a profit and intends to resell that particular property within 12 months and, further, plans to spend more than $500 on rehabbing the property you, or your entity will need to be a licensed and bonded general contractor. Notice it didn’t say you had to hire one, it says you have to BE one. Thankfully for Washingtonian investors, becoming a GC is quite easy and straight forward. Washington State Law RCW 61.34 stipulates that flipping a property purchased from someone who is behind on mortgage payments and facing foreclosure s considered equity skimming and therefore illegal. Although this particular law has more than one interpretation, the consensus among Washingtonian investors is to not engage in purchasing homes from people in foreclosure. Maryland State Law SB 761 prohibits those who are not licensed real estate agents, attorneys or mortgage brokers from engaging in transactions with people in foreclosure with a term they define as a foreclosure consultant. The consensus among non-licensed investors in Maryland is that flipping foreclosures is dicey at best, and many steer clear lest they be tarred with “foreclosure consultant” in a court of law. These are but a few examples of when flipping real estate may be illegal. What others are out there? Please comment at the bottom on any examples from your state so we can all learn and benefit. The new level of freedom of speech proliferated by the internet these days has ushered in a whole lot of incorrect information. Here are some myths that have been distributed among real estate circles across this country that need to be cleared up. 90 Day Anti-Flipping Rule: This is NOT a law. This is an underwriting stipulation put in place by some mortgage companies and/or certain mortgage loans that require the seller of a property to have been the owner of record for a minimum of 90 days. FHA loans are notorious for this requirement. Even though the ban has been lifted, most mortgage companies that originate FHA purchase loans demand the seller be on title for at least 90 days. Thankfully for wise investors, this 90 day rule is not a big challenge because certain mortgage originators are not required to meet this stipulation. Despite what a mortgage broker may tell you, they are not all created equal and just because one mortgage person must meet the 90 day stipulation, doesn’t mean they all must. Many, many investors have fallen victim to having their mortgage broker convince them that they MUST hold onto the property for 90 days before they can resell it. My heart goes out to any investor who was talked into such nonsense. Only Licensed Real Estate Agents Can Flip Properties: Every state has laws that describe what activities in real estate require a license to perform legally. 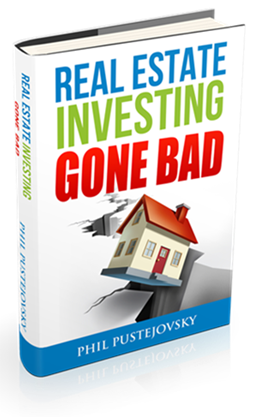 Most are very encompassing and can be quite scary to read, especially if you are a brand new non-licensed investor looking into flipping real estate. Thankfully, most states have an exception to their licensing requirements that sound something like Alaska Sec. 08.88.900: Exceptions. A person who is not licensed under this chapter who manages or makes a real estate transaction with respect to real estate the person owns or is seeking to own so long as the compensation the person receives does not include any portion of the commission or other compensation paid to a real estate licensee in the transaction. This is an example of state law upholding your Constitutional right to the free alienation of property. However, as you learned in the previous section above, there may be situations, such as when a homeowner is in foreclosure, where you may need some sort of license to flip property. In addition to the legal aspects, another hot topic is you may want to explore is, Is Wholesaling Real Estate Ethical? I am an attorney. Our Constitution give us the free alienation of property. Once you have a signed real estate contract, you have an equitable interest in the property. So how can a state make it illegal to transfer your interest in a property? The potential illegality of wholesaling real estate is the wholesale income falling under the all-encompassing real estate license laws of some states. As an attorney, I want you to picture yourself representing the State of Alaska in order to litigate against a wholesaler. After reading the below statues for the State of Alaska, let me know if you think you would have a case against a wholesaler. (11) attempt or offer to do any of the things listed in this section. State Atty: Did you seek out and/or market for a seller of a piece of real property? State Atty: Did you seek out and/or market for a buyer of the property before you were the fully vested owner of record? State Atty: Did you earn compensation for bringing these two parties together? State Atty: Are you a licensed real estate agent in the State of Alaska? Although I am not an attorney, it appears that Alaska’s laws are so encompassing, even with the Constitutional right to free alienation of property, wholesaling real estate whereby you don’t become the full owner and simply assign your contract, would require a real estate license if you want to be compensated on the transaction. Phil, what about in FL? The State is currently asking me to “cease and desist” all real estate activities because I market my “contracted” properties on my website while the State looks at the public records and sees that I am not the owner of the property. I am going to tell them I am a buyer and a seller of property and that once I put a property under contract there is “equitable interest” in that property so I can market it. In addition to hiring a good attorney, I would start by asking yourself the question…Do I have equitable interest in the property I am marketing? Assuming you do have equitable interest, you can waive the banner of your constitutional right to free alienation of property. That may not impress them much though. Lastly, if you are marketing the property on the MLS, sometimes the individual MLS owner can have issues with marketing the property when you are not the owner of record; but keep in mind that the MLS is not the law; it’s a private company and they have the right to “fire a customer”. Keep us posted on what happens here. In general, Florida is about the most flexible state in the country for creative real estate investing. So I asked what constitutes an equitable interest and their response was “According to our attorney’s it would be actual ownership of the property or ownership in the form of a monetary interest recorded on the deed.” In case anyone was thinking of recording an option on the property the State said an option does not constitute equitable interest, either! So it looks like every real estate investor in the State of FL who markets a contracted property via email or a website (not MLS) who is not a realtor is guilty of practicing real estate without a license. I find that fact hard to believe regardless of what the state is saying! Hi Phil, I can identify totally what is being stated here. I have recently started sending out my marketing campaigns such as yellow letters, flyer’s, and have already gotten a call from the Commissioners Office, two Deputy’s, and another call today. I haven’t done my first deal as of yet, however I do have a few potential Sellers who are ready to sell. I will be putting them under contract as of this coming week. I aint afraid of no Ghosts. As much as I have invested in my education, by all means, I am not an Attorney. I will start my new business, No Matter What. I am willing to learn from my mistakes. Which I honestly believe that Wholesaling is no mistake. My only question is, in your opinion is, “Does a newbie Wholesaler have to have an LLC to wholesale, from your findings in the state of Minnesota”? That is a legal question specifically pertaining to the state of Minnesota. You’ll need to ask this question of a local, knowledgable attorney. Attorneys were smart. They wrote the laws and then charge you by the hour to interpret those laws! In general, it is wise to operate a business within the confines of a liability protection legal entity such as an LLC or S Corp. In my own endeavors, I operate using LLCs because they are easier but in some cases, an S Corp can provide more tax saving strategies but they require more maintenance to maintain. How can I find out what the rules and regulations are in the state of Florida? 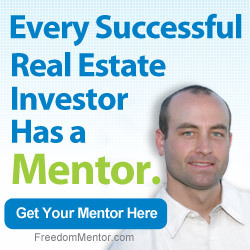 The right creative real estate investing attorney. What about it? We do tons of deals there.